At the beginning of this masterpiece of African literature, Clarence, a white man, has been shipwrecked on the coast of Africa. Flush with self-importance, he demands to see the king, but the king has just left for the south of his realm. Traveling through an increasingly phantasmagoric landscape in the company of a beggar and two roguish boys, Clarence is gradually stripped of his pretensions, until he is sold to the royal harem as a slave. But in the end Clarence’s bewildering journey is the occasion of a revelation, as he discovers the image, both shameful and beautiful, of his own humanity in the alien splendor of the king. of the King. In the late 1950s Camara Laye returned to Africa, where he worked in a variety of official capacities for the government of newly independent Guinea, only to be driven into exile because of his political outspokenness. Though his final years were overshadowed by illness and poverty, Camara Laye completed two additional major works: Dramouss, a continuation of The Dark Child, and The Guardian of the Word, a rendering into French of the great Malian epic Soundiata. TONI MORRISON is the author of nine novels, among them The Bluest Eye, Beloved, Jazz, and Paradise. Born in Ohio and a graduate of Howard and Cornell, she was the Robert F. Goheen Professor at Princeton from 1989 to 2006. In 1993 she won the Nobel Prize in Literature. JAMES KIRKUP (1918-2009) was a prolific English poet, translator and travel writer. He became a Fellow of the Royal Society of Literature in 1962. [Laye’s work] belongs within the tradition of classic world literature, describing a personal and cultural dilemma in accents that speak to all mankind. 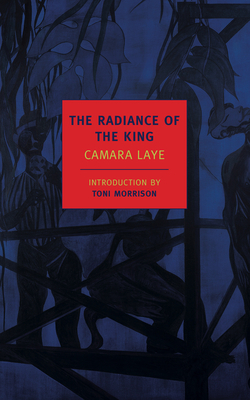 “[Laye’s] preoccupation with the possibilities of a deep spiritual experience which the African world seemed to him to offer constitutes the unifying point of view of all his work....[and] finds its supreme expression in Le Regard du Roi....a tour de force.